Public health is the bedrock on which the healthcare system we have today has been built. The purpose of public health is to protect and improve the health of people and their communities. From Dr. John Snow ceasing the deadly cholera outbreak in 1854, to the ongoing development of vaccines to eliminate childhood disease to creating safe communities for walking and biking, public health has served the greater community for the greater good. We continue to look to the field of public health to lead the way to eliminating health disparities; the differences in health outcomes, access to health care and the presence of disease between population groups. Health disparities are typically driven by an individual's social determinants of health - where they are born, live, work, worship and play. Through our public health lens, we already have one key to the issues of health disparities and social determinants of health - poverty. According to the newly released data from the Metro Social Services (MSS) Community Needs Evaluation (CNE), 14.5 percent of Nashville residents are living in poverty compared to 15 percent of the state and 13.4 percent of the nation. Although the poverty rate is similar to that in 2010, the population boom to Nashville has increased the number of individuals and households living in poverty. The number of households increased from 12.8 percent in 2016 to 13.5 percent in 2017. Poverty and poor health are closely linked. Living in a home infested with pests, not having access to nutritious foods because of a lack of reputable grocery stores and inferior educational outcomes are very real issues for people living in poverty. The health issues attributed to living in poverty are what keep people in poverty. Most people living in poverty are hourly wage earners, and poor health will keep them from working, which keeps them from getting paid. Poverty is a multi-faceted social disease that is growing every day. In addition to our environment, public health must also look at biology, genetics and human behavior to have an impact on health disparities. We cannot begin to understand how to reduce the gaps in health outcomes until we implement methods to equalize the community. Therefore, addressing poverty as a public health issue is as central to our community as is addressing communicable diseases. This is not the sole responsibility of the local health department, nor can a bank simply infuse money into a community. Addressing health disparities will require innovative public-private partnerships. We must consider how health is intertwined with housing, viable employment and education. It's not enough to have a doctor on every corner if we don't look at the totality of health as it is defined by the World Health Organization: "Health is a state of complete physical, mental and social wellbeing and not merely the absence of disease or infirmity." Together, evidence-based and culturally tailored interventions should be developed that will be sustainable to move individuals, communities and generations out of poverty. Matthew Walker Comprehensive Health Center believes in the totality of health of an individual and our community. Since our founding in 1968 by Dr. Matthew Walker, Sr., our model has included services that are designed to prevent and eliminate disease and infirmity, but it is also so much more. Our service model includes primary medical care, comprehensive oral health services, radiology and laboratory services and behavioral health programs for counseling and treatment. What makes us unique are the services that address the social wellbeing of our patients and our community. Our staff assist individuals with accessing insurance, housing and employment opportunities. The various collaborations with our local schools provide care to students, families and staff. Our programs for seniors like SALT (Seasoned Adults Living Triumphantly) and our Annual Red and White Affair build the social supports that keep our community safe and strong. We also play an important role in landmark research studies including the Southern Community Cohort Study that helped to identify evidence-based interventions to identify cancer risk factors in African Americans and REACH 2010 that helped set policy that changed eating habits and stopped illegal tobacco sales in the minority community. Today we are moving ahead with personalized medicine by serving as the community voice on the Precision Medicine and Health Disparities Collaborative Advisory Board and continuing to support the work of the Nashville Health Disparities Coalition. Matthew Walker Comprehensive Health Center is not alone in this work. The Safety Net Consortium of Middle Tennessee is made up of 20 member organizations representing federally qualified health centers, faith-based organizations, free and charitable clinics, as well as public entities and hospitals. The Safety Net Consortium is an effective collaboration that brings together leaders to problem-solve, plan and implement shared strategies toward a larger community-wide goal: a more coordinated and integrated system of care that leaves no Nashvillian behind. 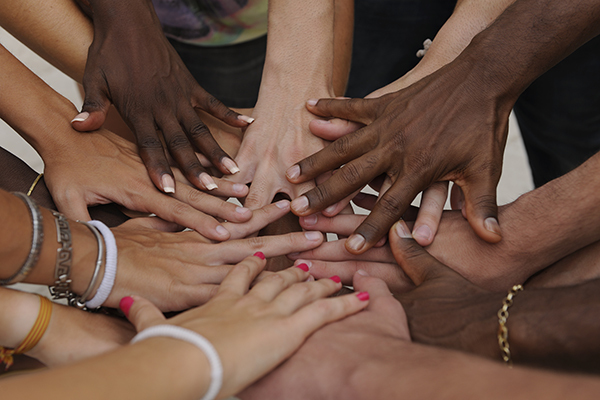 Together the Safety Net Consortium cares for 132,053 patients of which over 51,000 are uninsured. This is an example of what public-private partnerships can do for the greater community for the greater good. Addressing poverty through the public health model is the path to eliminating health disparities in our community. 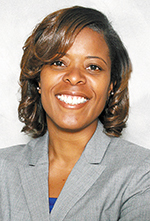 Katina Beard serves as CEO of Matthew Walker Comprehensive Health Center. Beginning her work with the federally qualified health center in 1996, she took on increasing leadership roles during her tenure before being tapped to lead the organization. She holds an undergraduate degree in healthcare administration from TSU and a master's in public health from Meharry. For more info, go to mwchc.org.